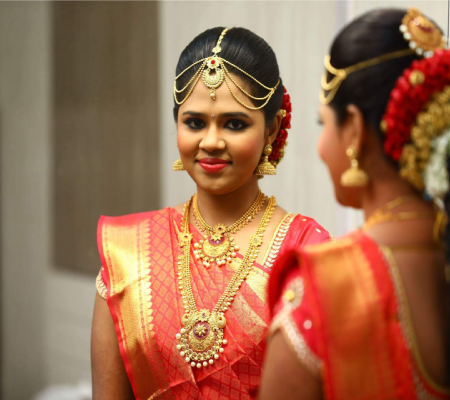 He and his team will make sure that the look is always different for every bride and understands their style and preferences perfectly such that highlighting out their best natural features and make them look like a princess on the big day. 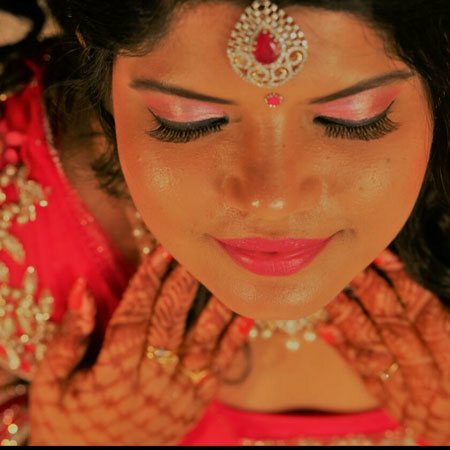 These distinct team of professionals will ensure your bridal look holds up fresh and bright under harsh photographic lighting and carry you through the rest of your exciting day. 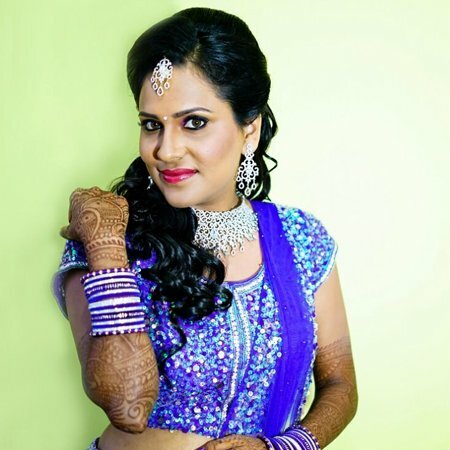 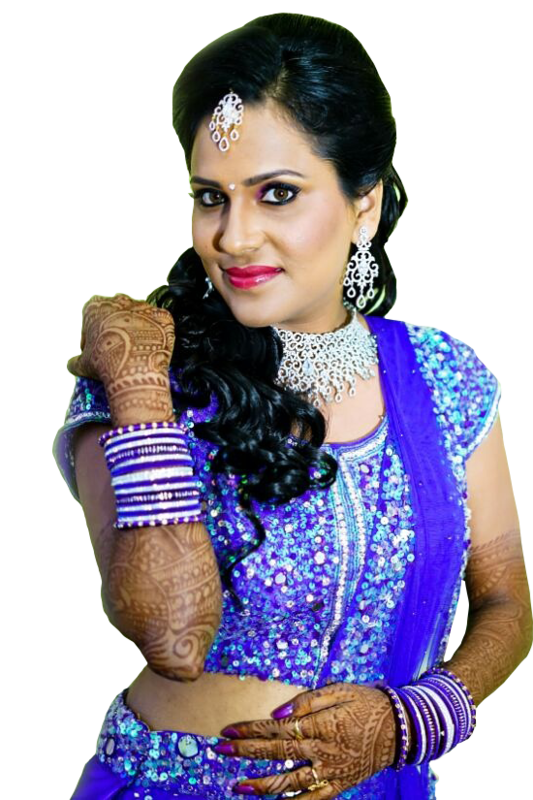 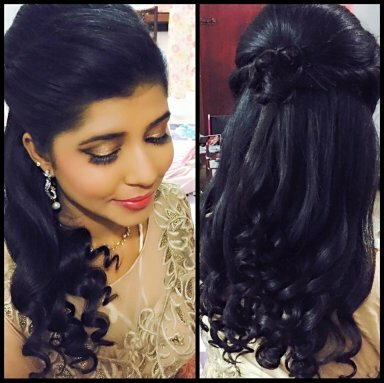 He is a cool and well-natured person that every bride can feel comfortable in listing out the requirements and sit back and relax knowing you are in the experienced and expert hands that can weave magical makeup on you. 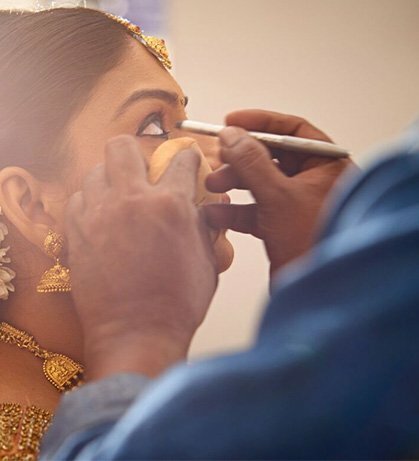 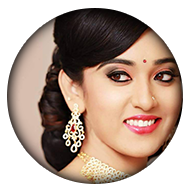 Mr. Vijay is a Chennai based top Bridal Makeup Artist who has mastered on all kind of Makeup techniques and complete knowledge of makeup brands. 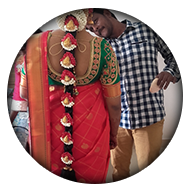 He is helping out the brides walk pride and look resplendent on their special day with his amazing makeover application.